First steak on the grill of the summer season. Okay it is not warm out tonight but the grill is officially open. We started out this season with my favorite cut of meat. The Porterhouse. Anyone who knows me and has eaten out with me knows I usually opt for veggies. I love veggies and I think it is important to eat more of them. 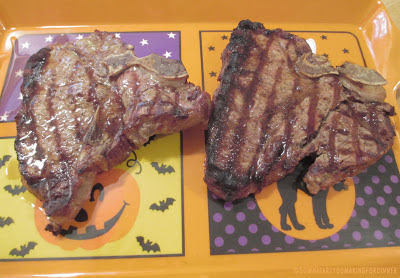 But this was a Porterhouse steak. On the grill. Cooked perfectly between Medium Rare and Medium. So good. So very good. Side note to self- get out summer trays! 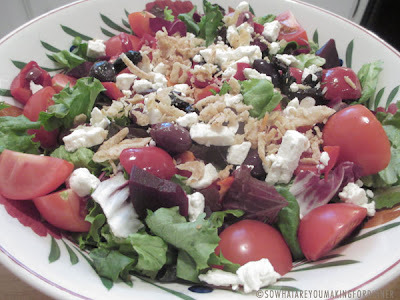 Side dishes were a salad with spring greens, roasted beets, feta cheese, hot cherry peppers, olives, tomatoes and I had some fried onions in the pantry so they went in the salad. And we had another of my favorite summer foods. 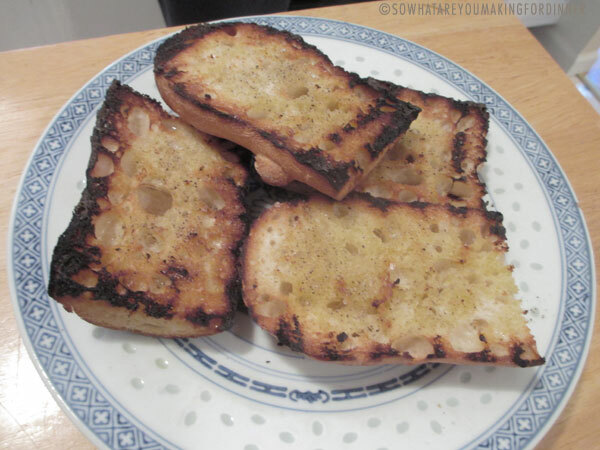 Grilled baguette. It was the bread left over from last night's dinner.